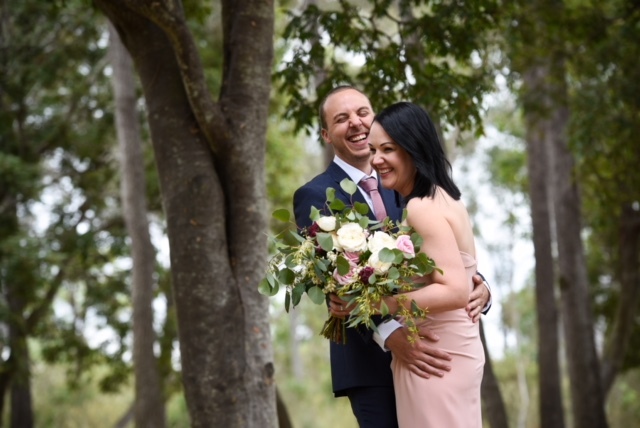 After many years and two lovely children, Erin and Kelvin couldn’t wait to tie the knot and become husband and wife. 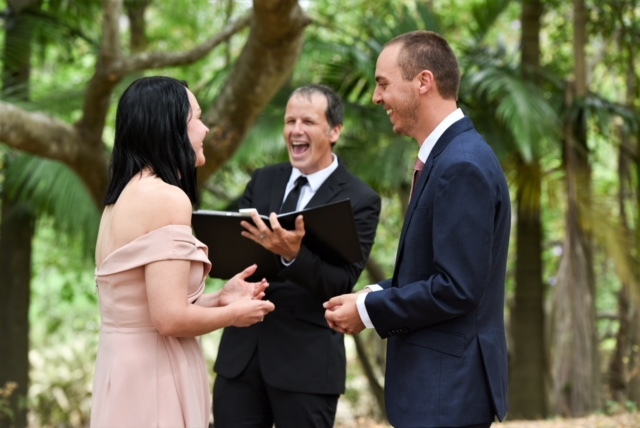 They envisaged a relaxed and stress-free celebration and decided that having a surprise wedding would be the perfect way to celebrate with those close to them, so one Sunday afternoon they planned a family BBQ, asking guests to arrive at 1pm sharp. 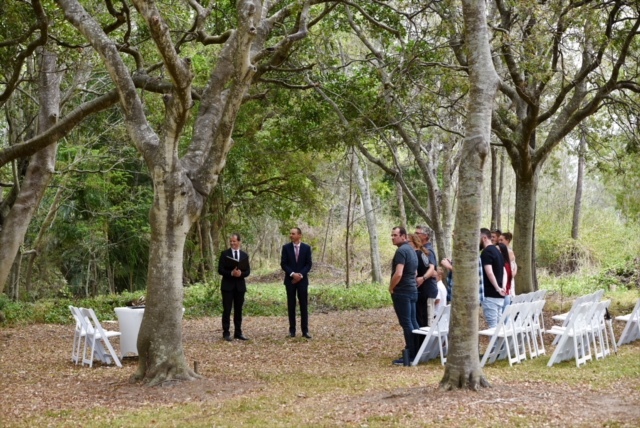 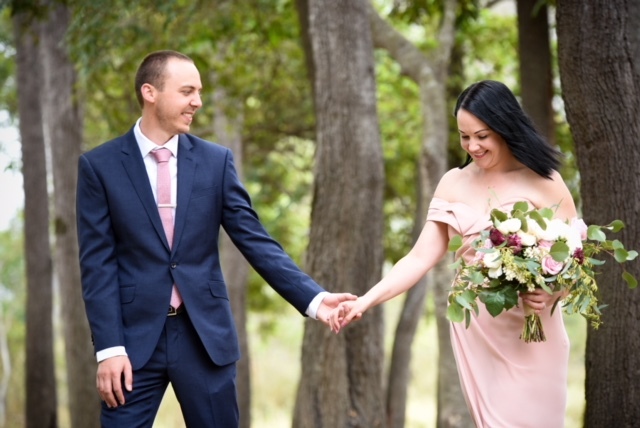 Guests then joined Kelvin as they headed to a favourite local park of their’s; Minnippi Parklands in Carina, where white americana chairs were set up between two tall trees, completely surrounded by greenery. 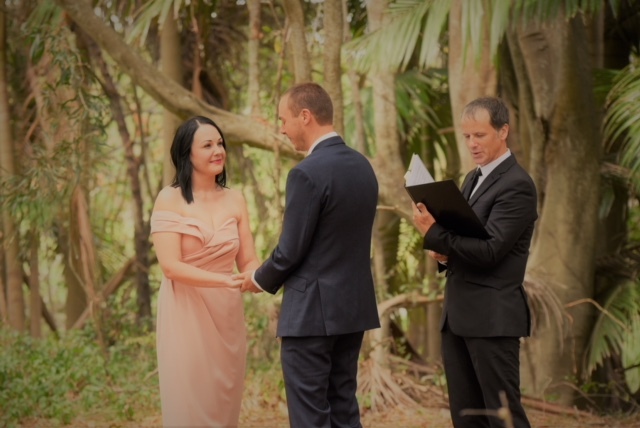 The couples daughter, followed by the radiant bride and her father made their way down the aisle, the guests were in awe, still taking in that they were actually at a wedding! 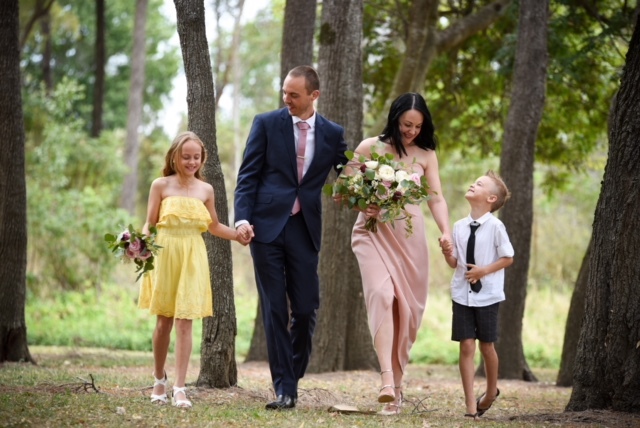 Following a simple and happy wedding ceremony at Minnippi Parklands with their son as the official ring bearer, they were announced as husband and wife to the cheers of their surprised guests, before having bridal and family photos with their photographer from Edge Photography GC.